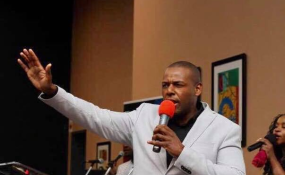 The African Medallion Group owned by South Africa based Zimbabwean businessman, Frank Buyanga, has written to Government requesting to assist with the procurement and delivery of fuels, pharmaceutical products and other critical commodities that are in short supply in the country. This is contained in a letter AMG chairman Mr Estee Mamman, wrote to RBZ Governor Dr John Mangudya on October 29, 2018. The letter gleaned by The Herald Business and bearing the central bank's date stamp (receiving), was also copied to the Minister of Finance and Economic Development Professor Mthuli Ncube. Reads the letter in part; "In a bid to be responsible corporate citizens, we find it incumbent upon ourselves to contribute positively to the ongoing economic (challenges) being experienced by the people of Zimbabwe. "African Medallion Group is in a position to assist with the procurement and delivery of fuel, pharmaceuticals, cement, cooking oil and other commodities deemed necessary by the Government and people of Zimbabwe through a bonded infrastructure. The African Medallion Group will require statutory approval to exercise this task," Mr Mamman said. He said it was common knowledge that the realities of the multicurrency regime were facing challenges and therefore partnering with the private sector maybe the right way forward.